So we are coming to the end of October, and around here, that pretty much means only thing: Halloween. Now Halloween is not a Jewish holiday, and in fact has it’s roots in the Christian All Hallows’ Eve, but it has become, like many holidays throughout the year, completely secularized and commercialized. Now Halloween is all about the costumes and the candy, and not about remembering the dead. Even though it is not a holiday that I celebrate, I can’t help but look around and be inspired by all of the pumpkins! 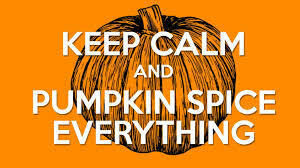 So with that in mind I thought a Pumpkin Spice Cupcake with rich Allspice Cream Cheese frosting would be a hit! I mean, everywhere you look these days, something, ANYTHING, is flavoured with pumpkin spice! The rich, warm flavours of cinnamon, nutmeg, allspice and clove just fill you up with toasty goodness. So I say, if you can’t beat ’em, join ’em!